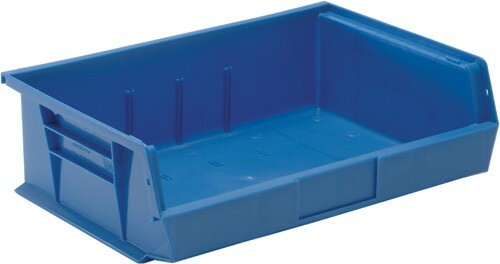 10-7/8"L x 16-1/2"W x 5"H strong, stack and hang plastic bins, manufactured in the USA of FDA approved materials. Front, back and side grips for easy handling. 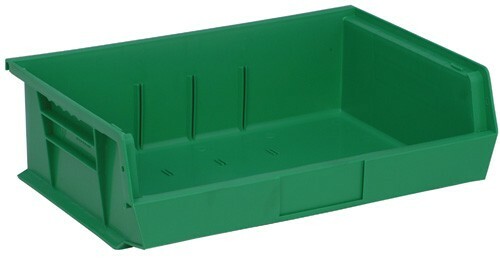 Built-in rear hanger allows bins to hang from louvered panels or rails. 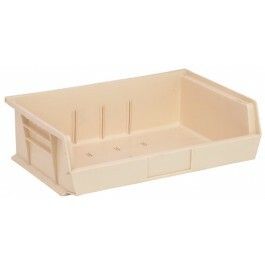 Optional clear injection molded crystal styrene window increases bin capacity and provides quick view of bin contents. Dividers maximize flexibility and keep contents organized. 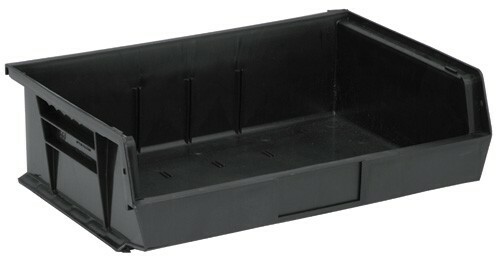 Wide stacking ledge and anti-slide lock keep stacked bins steady and prevent forward shifting. Water, rust, and corrosion proof. Easily cleaned with soap and water and impervious to most chemicals. 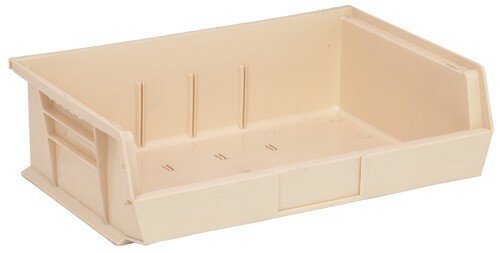 Large molded front label slots for ID labels. Autoclavable up to 250°F and resistant to extreme cold. Guaranteed not to break or crack under normal load conditions. Available in Blue, Green, Ivory, Red, Yellow and Black. 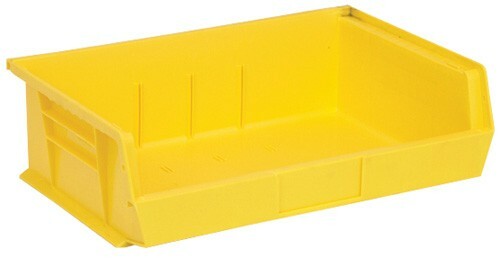 10-1/4" x 15" x 4-3/4"